The Hock Sock is individually made based on the measurements you provide; this product usually ships 3 - 5 business days after the order is placed. The DogLeggs' Hock Sock provides coverage, padding and protection for the hock. It is safe to use for animals with compromised immune systems or fragile skin. Use of this product can speed recovery of wounds and protects the area from additional trauma or self-mutilation. Animals with osteoarthritis of the hock can benefit as the material reflects the body's heat back to the joint, improving comfort and mobility. This product is a coverage solution only; it does not provide support to the hock. Please see the Tarsal Support for a supportive solution. The Hock Sock does NOT cover the paw. 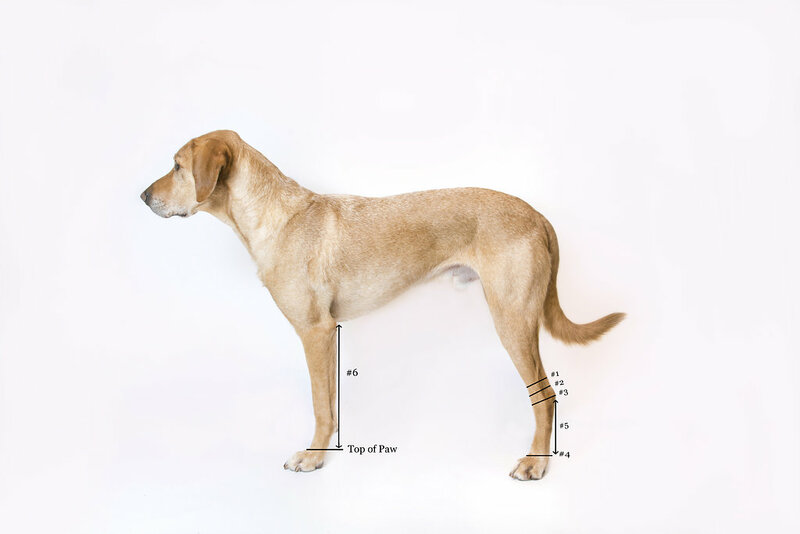 **If the dog weighs less than 10 pounds or Measurement #6 is less than 6 inches or is considered a "Short-Legged" Breed, please contact our office for additional measuring instructions. 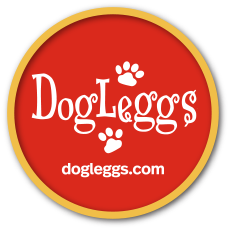 The DogLeggs' Hock Sock is constructed of a 3-dimensional fleece-faced, highly breathable, 4-way stretch textile with wicking properties. It allows air to circulate while keeping the joint warm. It contains padding to protect bony prominences. VELCRO® Brand fasteners are used to secure and adjust the product. The product is machine washable.